Color selection can seem intimidating, but it's a chance to infuse your personality into your home. Many online resources are available for homeowners to explore, coordinate and experiment with different looks. Pinterest and Apartment Therapy are great websites for browsing images, finding home décor inspiration and colors that speak to you. 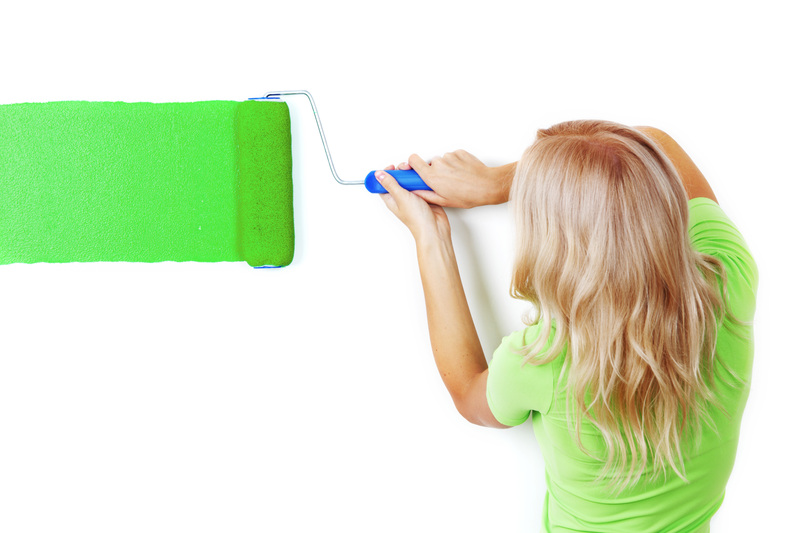 The most realistic way to envision the color in your home is to see it in action. Many paint retailers offer small sample cans for just a few dollars. Use these to paint a few stripes of each color option in the room you'll be painting. Note how color changes in different lighting conditions. “Sunlight, shadows and furniture can all alter the appearance of paint in your space,” says BEHR Vice President of Color Marketing Erika Woelfel. “Before fully committing to a hue, make sure it's one you'll love morning, noon and night." High-quality painting tools save you time over the course of your project and produce the most beautiful finish. For best results, use a lint-free roller cover. Select brushes made of nylon and polyester. For flawless edges, use a painter's tape specifically designed for your surface type. Begin by removing all wall fixtures, such as pictures, doors and light switches. If you have small cracks or holes in your walls, remove any dust and apply a patching material. Make sure to allow this to dry completely before sanding the finished area. Wash away oil, grease or wax stains by dampening the surface, applying mild detergent with a sponge, and then rinsing the wall clean. Once dried, you'll be ready for smooth application and beautiful color.